Konami just released the newest PES 2015 Live Update and this time it even includes a bunch of winter transfers. Following the skip last week, this new January 8 PES 2015 Live Update continues as before by adjusting the PES 2015 player stats to include the players' latest performances. While no new PES 2015 players where added this time around, Konami have included a number of PES 2015 winter transfers in today's PES 2015 Live Update. 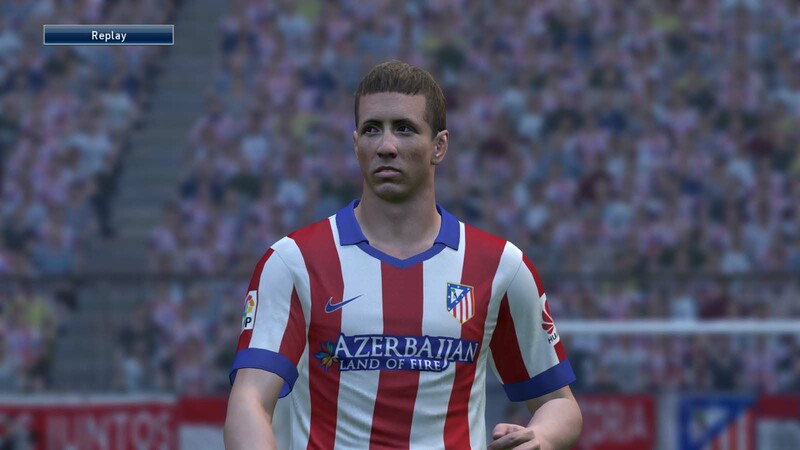 Several winter transfers were also added via today's PES 2015 Live Update, including Fernando Torres (to Atlético), Enzo Pérez (to Valencia) and Darren Bent (to Derby County). Naturally, today's PES 2015 Live Update mainly affects players from the English league. This newest Pro Evolution Soccer 2015 Live Update covers the week from December 29 to January 4 and includes overall boosts for 49 players, while the overalls of Alcaraz and Yoda were decreased. The highest jump was made by Tottenham's Harry Kane, who's now rated 74 (from 68), including 84 attacking prowess and 80 ball control ratings (both +5). Other notable changes include Dušan Tadić (+5 to 86), Jack Colback (+5 to 81) and Leroy Fer (+5 to 81). 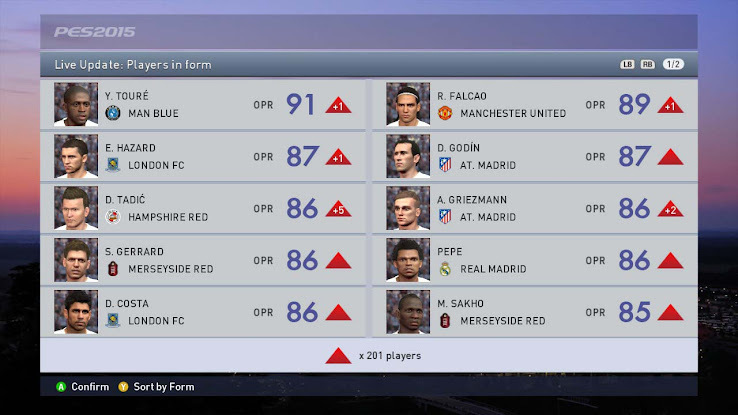 The highest rated players affected from the PES 2015 Live Update (08/01/2015) are Yaya Touré (+1 to 91), Radamel Falcao (+1 to 89) and Eden Hazard (+1 to 87).